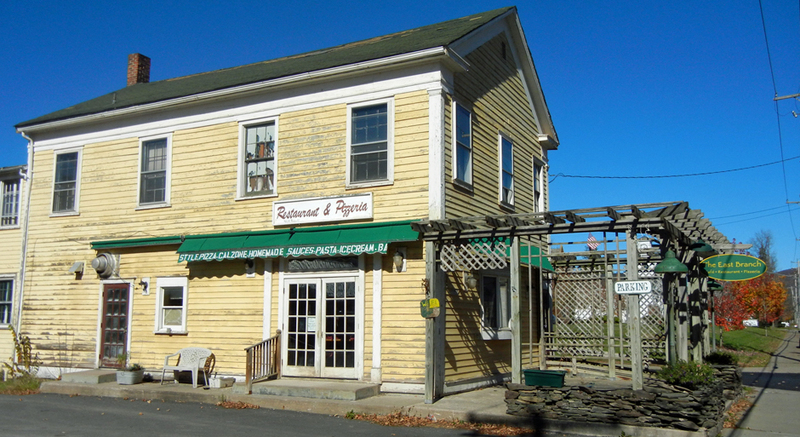 A once-popular Main Street spot where Roxbury schoolkids grabbed a slice and locals lingered over morning coffee will go up for sale to the highest bidder at public auction next month. 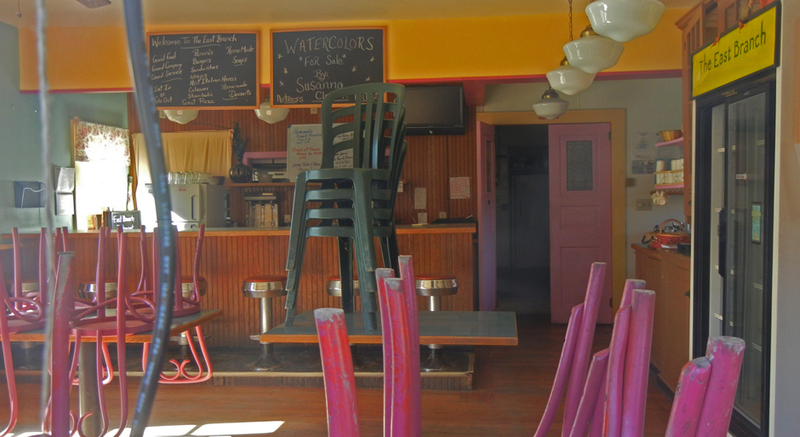 The East Branch Cafe, run by Katie Oliveri, was a cozy breakfast and lunch place that offered casual, home-cooked fare until it closed in March. 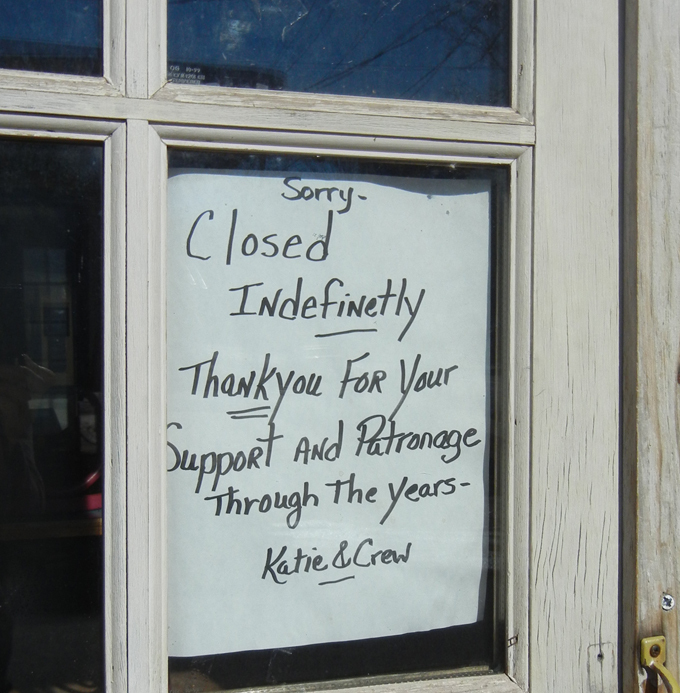 The mortgage-holder, East Branch Cafe Restaurant Pizzeria Inc., filed suit in New York Supreme Court in Delaware County to foreclose in May. The plaintiff, a corporation owned solely by Stanley Warnow, produced records showing that Oliveri owed more than $200,000 in overdue mortgage payments, interest, late fees and other debts. Court documents also show federal and state tax liens on the property dating back as far as 2012. Oliveri, who did not respond to a request for comment, purchased the building at 53657 State Highway 30 from Warnow in 2009, in a seller-financed deal where Warnow acted as the lender. Prior to that, Warnow had also run a restaurant in the building, which is situated between the Roxbury Central School and the village’s only gas station and convenience store. The rectangular lot is 47 feet wide and 139 feet deep, according to county land records. There is no minimum bid at the auction, which is scheduled for Nov. 19 at 1:30 p.m. on the steps of the county courthouse, at 3 Court Street in Delhi, said attorney Carey Wagner, who represents the plaintiff. The specific sale terms have not yet been set, but will likely follow typical guidelines for such auctions, including a 10 percent deposit required at the auction and a 30-day closing window, Wagner said.